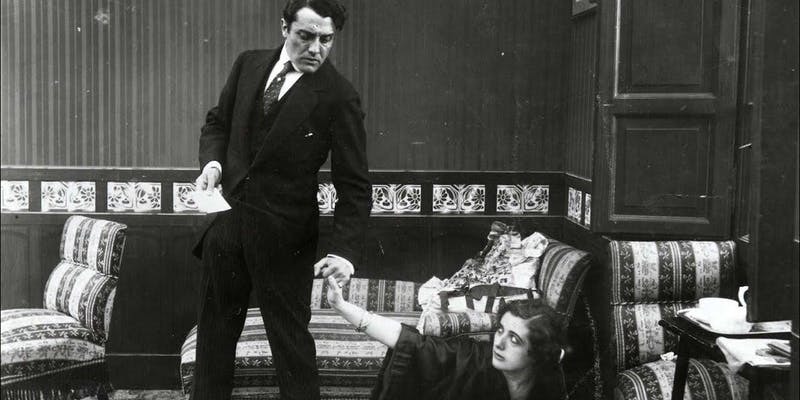 Join us and travel back in time for an evening of film and music as we present a masterpiece of silent Italian cinema newly restored by the Cineteca di Bologna in Italy. As in the 1920s you will enjoy the screening of Sangue Bleu while Daniele Furlati, pianist in residence at the Cineteca di Bologna, will accompany the movie with a live piano score. A prime example of the diva genre, Sangue Bleu (literally, Blue Blood) is set in the worlds of the aristocracy and the haute bourgeoisie more than 100 years ago. Starring famous Italian actress Francesca Bertini, the film recounts the story of the Princess of Monte Cabello, a rich and noble woman who, after her divorce, loses both the custody of her child and her livelihood, and she is forced to work in a cabaret. The film explores subjects such as nobility, class difference, and women’s place in society in Europe before World War I, but it also shows how emotional and social impasse can be overcome by motherhood as a universal value to thrust women forward. Due to new safety regulations, we are not allowed to add extra seats to the auditorium or let anyone stand. A registration is not a guarantee of a seat as these are assigned on a first-come first-served basis. Doors close at event start-time. Ticket availability date subject to change.